TONTY, HENRI (de), voyageur, trading post commander, officer in the colonial regular troops; b. 1649–50, place unknown, eldest son of Lorenzo de Tonty, the inventor of the “tontine” system of life annuity, and Isabelle di Lietto, Neapolitans who sought asylum in France after being involved in an unsuccessful revolt against the Spanish viceroy, the Duke of Arcos; d. September 1704, at Fort Louis-de-la-Louisiane, about 25 miles upriver from the present Mobile, Ala.
Tonty had two younger brothers, one of whom, Alphonse Tonty, came to Canada in about 1684–85, settled in Montreal, and became associated with the fur trade. The Tontys were cousins of Daniel Greysolon Dulhut and Claude Greysolon de La Tourette, both of whom made names for themselves in the new world. 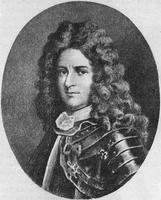 In 1668–69, Henri served in the French army as a cadet. During the following four years he was a midshipman at Marseilles and Toulon, participating in seven campaigns at sea, four in warships and three in galleys. Sent to Sicily, he was made captain-lieutenant to the maître de camp at Messina. At “Libisso”, during a Spanish attack, his right hand was shot away by a grenade and he was taken prisoner. Conducted to “Metasse”, he was detained there six months, then exchanged for the governor’s son. Back in France, Louis XIV granted him 300 livres. He returned to active service in Sicily as a volunteer in the galleys. With the conclusion of the Dutch War (1678) Tonty returned to France, but was unable to obtain employment at court. There (probably with the help of the Sieur de Villermont) he became lieutenant to René-Robert Cavelier* de La Salle, who had just been granted permission to open up the Illinois country and explore the Mississippi. On 15 Sept. 1678, Tonty and La Salle arrived at Quebec on the Saint-Honoré. By 26 December they were at the Niagara River where, during the remainder of the winter, Tonty supervised the construction of Fort Conti below the falls and of the bark, Griffon, above them. That summer he set out with five men by canoe along the north shore of Lake Erie, hoping to intercept a party of La Salle’s men who ought to have been homeward-bound to Fort Frontenac (Kingston, Ont.) after a year of trading on the upper lakes. On 9 August he arrived at the strait between Lakes Huron and Erie, where he remained for two days until joined by La Salle in the Griffon. On 27 August they all reached Michilimackinac, the cross-roads of the southwestern fur trade. Here they found most of the men for whom Tonty had searched; they had remained at Michilimackinac, dissipating more than 1,300 livres worth of trade goods. Six others had deserted with at least 4,000 livres of merchandise and were believed to be at Sault Ste Marie. On 29 August Tonty set out to round them up. Having found and apprehended the deserters Tonty left Sault Ste Marie on 5 October to rendezvous with La Salle at the mouth of the St Joseph River (Mich.). After a very difficult passage of 38 days (probably via the eastern shore of Lake Michigan) he rejoined his commander and took part in the building of Fort Miami. After completing this task, the party pressed inland and on 15 Jan. 1680 began constructing Fort Crèvceœur on the south bank of the Illinois River, between the present Pekin and Kingston Mines (Ill.). On 1 March La Salle placed Tonty in charge of the new post, and headed east overland in search of news of his ill-fated Griffon (which had already foundered with all hands). Pausing at Fort Miami, La Salle sent word back to Tonty that a new fort was to be built upriver from Fort Crèvceœur on a promontory known as Le Rocher (Starved Rock: near Utica, Ill.; this was the highest point on the Illinois at which navigation was always possible). Tonty immediately went to make a preliminary survey of the place. While he was absent the men at Fort Crèvceœur, dismayed by rumours of La Salle’s financial difficulties, mutinied, destroying the buildings and burning a partially completed vessel intended for use on the Mississippi. After hurrying back to inspect the ruins and salvage what he could, Tonty took up residence at an Illinois village with the five men who remained faithful to him. Tonty began to trade while awaiting La Salle’s return. Meanwhile, alarmed by the prospect of the French supplying arms and ammunition to the Illinois, the Iroquois decided to make war. They struck on 10 September. At first Tonty tried to buy them off with necklaces, but received only a glancing blow from a knife for his pains. Bravely persevering and with the assistance of an Onondaga chief named Agonstot, “he gave them to understand that the Illinois were under the protection of the king of France” and persuaded them to call off their attack. Nevertheless, the Iroquois insisted that Tonty and his men immediately leave the Illinois country. Hoping to reach Michilimackinac before winter set in, Tonty and his party arrived early in October at the site of the present city of Chicago, where they rediscovered the portage taken by Louis Jolliet* and Father Marquette* seven years before. From here they headed for Baie des Puants (Green Bay). While proceeding by canoe on Lac des Illinois (Lake Michigan), they were wrecked on 1 Nov. 1680 and during the next two weeks lived on “wild garlic,” grubbed up from under the snow. Ultimately they arrived at a Potawatomi settlement where Tonty remained for the winter while his chaplain, Father Zénobe Membré*, went on to the Jesuit mission of St Francis Xavier (near the present De Pere, Wis.). Early in June 1681 Tonty joined La Salle at Michilimackinac. He accompanied his leader part way to Montreal and then in August set out ahead of him for Fort Miami to make ready for the definitive thrust southward to the Mississippi’s mouth. On 27 December, with most of the men assembled for the expedition, Tonty began to cross the Chicago portage. On 6 Jan. 1682, one day’s journey from the Des Plaines River, he was rejoined by his commander. On 7 April the expedition reached the Gulf of Mexico and on the 9th, near the present Venice, La., they erected a cross and post bearing the arms of France to commemorate the occasion. As they were short of supplies, Tonty and La Salle decided to return north immediately. When La Salle became ill and unable to travel, Tonty pressed on ahead of the main expedition to attend to trading operations in the Illinois valley. He reached the Chicago portage at the end of June, carried on to the St Joseph’s mouth and with two companions continued northwards to Michilimackinac where he arrived on 22 July. La Salle joined him there in September and immediately sent his lieutenant back to the south end of Lake Michigan to build a fort upriver on the St Joseph. Seemingly on his own initiative, Tonty ignored his leader’s instructions and went into the Illinois valley to winter and trade. Joined by La Salle in December, Tonty began the construction at Le Rocher of Fort Saint-Louis. He travelled more than 100 leagues, visiting various Illinois tribes to persuade the Indians to settle near the new fort. This would provide both trading opportunities and a form of defence against future Iroquois attacks. In August La Salle set out for the east (and France), leaving Tonty in command. While La Salle was away, the governor of New France, Joseph-Antoine Le Febvre* de La Barre, decided to confiscate all his properties in North America. As a result Tonty was replaced as commandant of Fort Saint-Louis by the governor’s nominee, Louis-Henri de Baugy, who arrived in September with 30 canoes containing munitions and trade goods as well as some soldiers. During the spring of 1684, he and Tonty successfully held off an Iroquois attack. Then, on 23 May, Tonty left for Montreal and Quebec, where he found that the governor’s decision to seize La Salle’s properties had been reversed. 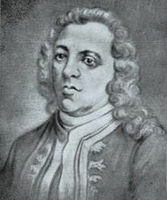 He and La Salle’s other lieutenant, François Dauphin de La Forest (who had been in charge of Fort Frontenac since 1679) were to carry on with operations on their chief’s behalf. Owing to an early freeze-up, Tonty was unable to reach the west until June 1685. 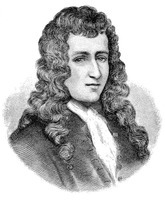 During the summer of 1685, Jacques-René Brisay de Denonville had replaced La Barre as governor of New France. 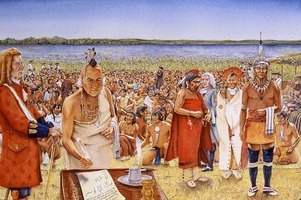 Concluding that war with the Iroquois was inevitable, he had decided to promise the Illinois “every protection” and to summon Tonty to his side for consultation. When Tonty arrived back at Fort Saint-Louis, he left almost immediately for Montreal. There the governor told him of the campaign he proposed for the following summer and the key part he was to play in its execution. He was to “march [with the Illinois] 300 leagues overland, for those Indians are not accustomed to canoes,” and attack the Iroquois in the rear, while Denonville mounted a frontal assault. The following year Tonty was able to muster only 80 Illinois for the campaign. The rest refused to leave their homes unprotected because of rumours that the Senecas were about to attack. 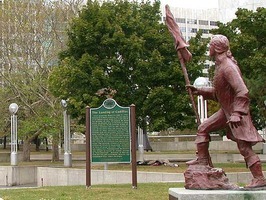 Consequently, he was “obliged to go to join Sieurs de l’hut [Dulhut] and de la Durantais [Morel] at the fort on the strait, being unable to take the Senecas in the rear.” Between there and Niagara, advancing with 160 Frenchmen and nearly 400 Indians, they captured 60 Englishmen from New York, plus some Indians, “on their way to seize Michilimaquinac and other posts, and to establish trade there with the Indians. . . .” Proceeding to their rendezvous on Lake Ontario, they met up with Denonville and took part in the van of the French attack against the Senecas. After helping to establish a post at Niagara, Tonty returned to his post on the Illinois, having acquitted himself “very well.” During the next two years he remained at Fort Saint-Louis, running La Salle’s trading operations in partnership with La Forest. As far as he knew, things were going well with his employer’s new colony on the Gulf of Mexico. Then in September 1689, Jean Couture (possibly a relation of Guillaume Couture) came in from the Arkansas River with positive news that La Salle had been murdered by his own men. That December Tonty set out with four Frenchmen, one Shawnee, and two slaves to go to the aid of La Salle’s abandoned settlement, which was now known to be located on Baie Saint-Louis (Matagorda Bay, Texas). He was the only person who lifted a finger to help these unfortunate people, but the ordeal of the journey proved too much for him. Half-starved and short of ammunition, he gave up the attempt after penetrating as far as the northwestern part of what is now Houston County, Texas. In 1690 La Forest and Tonty were granted La Salle’s fur-trading concession among the Illinois. So long as it functioned the Iroquois advance towards the west, and thus the advance of the English, would be held in check. Tonty spent the winter of 1690 and that of 1691 in the Illinois valley, making only one trip “out” to Michilimackinac during the intervening summer. During the latter winter, as supplies of firewood had been exhausted adjacent to Fort Saint-Louis, he began a new fort at Pimitoui (near Peoria, Ill.). La Forest joined him there in the spring with hired men and soldiers to finish it. In the summer of 1693 Tonty went down to Quebec with a fleet of fur-laden canoes manned by Ottawas and coureurs de bois. While there he borrowed a substantial sum on behalf of his business partnership. By this time La Forest had sold half his interest to Michel Accault for 6,000 livres. Tonty spent the next two years exploiting his licence to trade in the Illinois valley and towards the southwest and tried to persuade the authorities in France that he should resurrect La Salle’s old concept of siphoning off the wealth of the Mississippi basin through the Mississippi’s mouth. Understandably, this ambition was vigorously opposed by the Montreal traders and merchants. In an effort to upgrade the quality of their furs Tonty and his partners obtained Governor Frontenac’s (Buade*) permission to trade among the Assiniboins, “who live 500 leagues towards the North from Michilimackinac.” On 8 Aug. 1695 Tonty left Michilimackinac for the northwest. According to Cadillac (Laumet), who wrote the following year, he went both to trade and get news of Pierre Le Moyne d’Iberville’s attack on Fort Nelson. “Contrary winds long detained him on Lake Superior; then ice set in, so that he . . . only journeyed about 200 leagues [from Michilimackinac. 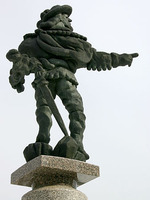 As soon as the ice melted, he pursued his journey and is bound for the great lake of the Assiniboin which discharges its waters into the sea through the river of Port Nelson.” By the end of June 1696, Tonty had sent word back that Iberville had won Hudson Bay with the loss of only two men. How far he himself penetrated towards the northwest is not known. The beaver glut had become serious by this time, and the authorities in France tried desperately to contain it. The fort at Pimitoui was to remain open only on condition that Tonty and his partners refrain from carrying on the beaver trade. When it was pointed out to the king that if there was to be no trade, there would be no French presence in the Mississippi valley and the road to the west would be entirely open to the English colonists on the Atlantic coast, Louis XIV relented slightly, giving Tonty permission to trade within strict limits. By 1698, however, the court had decided to counter English and Spanish designs on North America by resurrecting and modifying La Salle’s original plan for a colony at the mouth of the Mississippi. They chose Iberville, the conqueror of Hudson Bay and Newfoundland, to establish Louisiana; Tonty and La Forest were to cooperate fully. That autumn, Tonty guided a party of Jesuits [see Buisson de Saint-Cosme, 1667–1706] to the mouth of the Arkansas River, arriving about Christmas. He spent the following year at Pimitoui and Michilimackinac. Then, leaving the affairs of the Illinois country to the care of his cousin Pierre de Liette, Tonty set out with seven Canadians for Fort Mississippi (near Phoenix, La. ), where he made contact with Iberville. From this time on he worked to help establish the French presence in the south. He developed trade deep into the interior, persuaded the Chickasaws to live in peace with the new colony “despite the instigation of the English,” and when the Alabamus took to the warpath he, with Jean-Baptiste Le Moyne* de Bienville, took revenge on them. In 1704, a supply vessel from Havana brought yellow fever to Fort Biloxi. Sometime in September of that year Tonty contracted the disease and died at Fort Louis-de-la-Louisiane. Tonty must be ranked as a major explorer of North America and, with La Forest, as a businessman with a practical approach to the problems of the inland fur trade. It has been said of him that “while La Salle conceived, Tonty achieved.” The Indians, who called him bras de fer, were as much in awe of his endurance, tenacity, courage, and organizing ability as they were of his hook-shaped artificial arm. 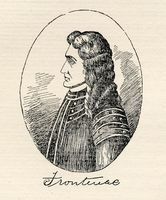 Governor Denonville, himself a veteran soldier of considerable repute, called him “a lad of great enterprise and boldness” and had no hesitation in giving him a crucial role in the execution of his campaign against the Iroquois. Iberville and Bienville relied upon him heavily to help stabilize their relationship with the Indians of Louisiana. Perhaps not a giant of his age, Tonty is nonetheless a significant figure in the history of French development of the west. Découvertes et établissements des Français (Margry), I–V. Early narratives of the northwest, 1634–1699, ed. L. P. Kellogg (Original narratives of early American history, [XVII], New York, 1917). NYCD (O’Callaghan and Fernow), IX. H. E. Legler, Chevalier Henry de Tonty’s exploits in the valley of the Mississippi (Milwaukee, 1896). E. R. Murphy, Henry de Tonti, fur trader of the Mississippi (Baltimore, 1941). Jean Delanglez, “Tonti letters,” Mid-America, XXI (1939; new ser. X), 209–38; “The voyages of Tonty in North America, 1678–1704,” Mid-America, XXVI (1944; new ser. XV), 255–97. Benjamin Sulte, “Les Tonty,” 1st ser., XI (1893), sect.i, 3–31. E. B. Osler, “TONTY, HENRI,” in Dictionary of Canadian Biography, vol. 2, University of Toronto/Université Laval, 2003–, accessed April 24, 2019, http://www.biographi.ca/en/bio/tonty_henri_2E.html.